The Oder Delta, spreading between the border of Poland and Germany, is a unique region with a rich mosaic of large wild continental, marine and freshwater ecosystems. 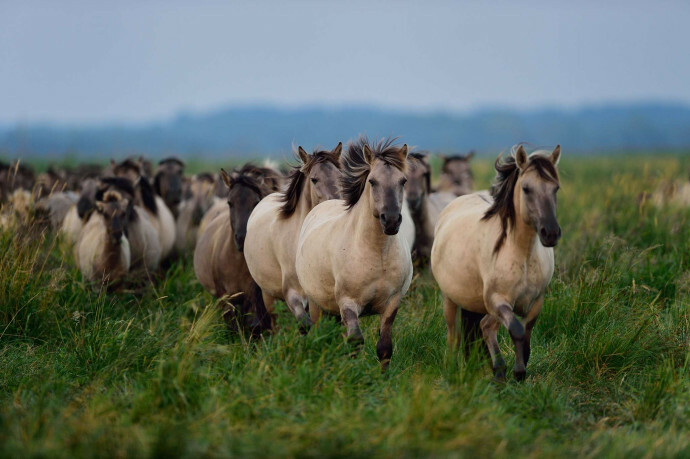 It is strategically located on one of the ecological crossroads in Europe being one of the most exciting wild areas in north-central Europe. The vast natural areas are mainly taken care of by nature itself and wildlife has begun to thrive in more natural densities. The region stretches over more than 250,000 hectares, of which nearly 70,000 hectares are the open waters of the lagoon. 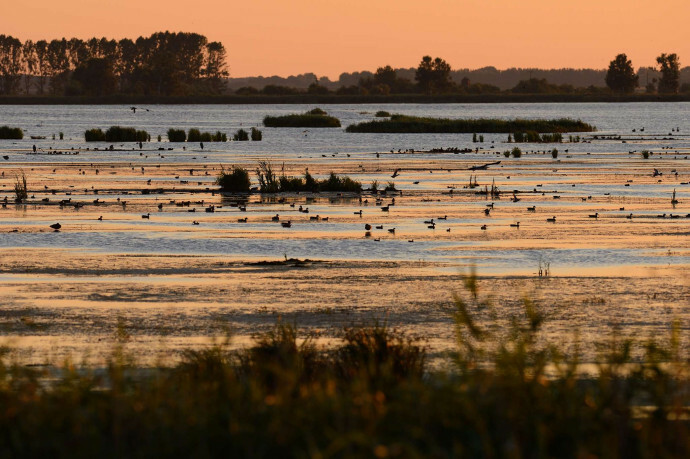 The Oder Delta is an important stop-over site for migrating water birds using the East Atlantic Flyway. 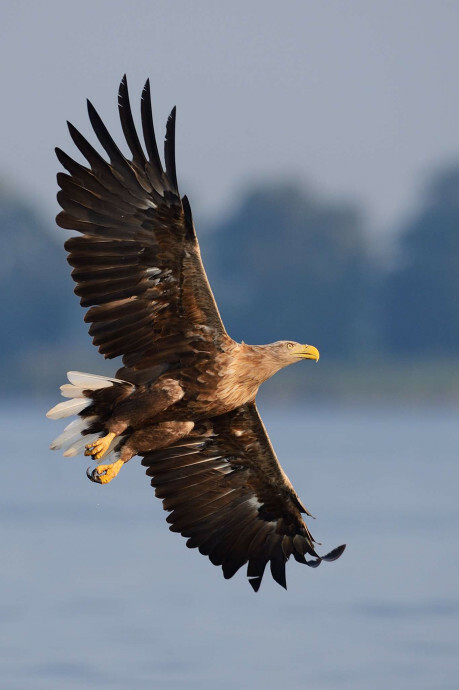 The abandonment of agricultural lands happening during the last decades has benefitted rising populations of the white-tailed eagle now having the highest breeding density in the European Union, otter, beaver, salmon, sea trout and many other species. 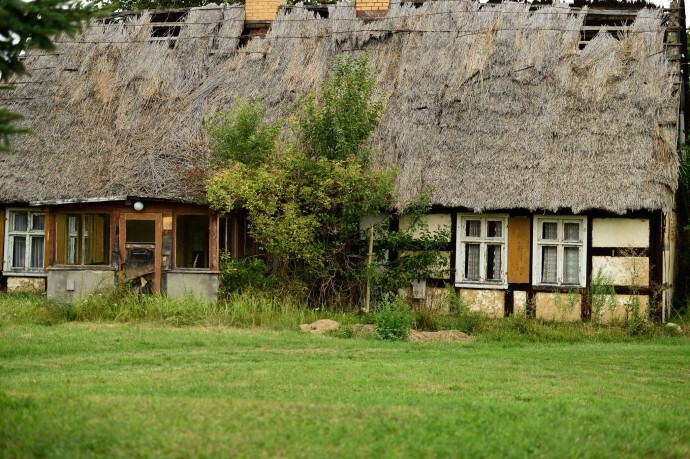 Not far from Berlin and close to Szczecin and resorts along the Baltic coast, this wild landscape can create new sources of income and pride for the local people. A sustainable development combined with rewilding activities can secure these wild treasures of the Oder Delta so that they can serve as new economic opportunities for local people. For each rewilding area we developed an inspiring vision that shows our ambition for the next ten years. Together with our local partners we work to make this vision a reality. The Oder Delta area located on the Baltic coast in Poland and Germany is a unique region with a rich mosaic of large wild continental, marine and freshwater ecosystems. It is strategically located on one of the ecological crossroads in Europe. 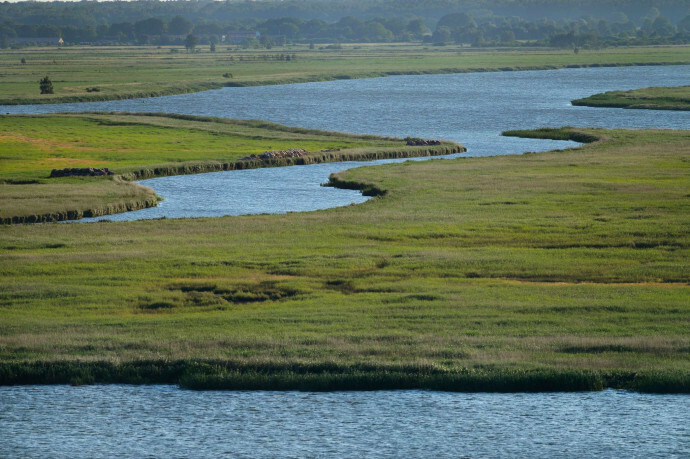 The Oder Delta is a region where the return of nature creates new sources of income and pride. 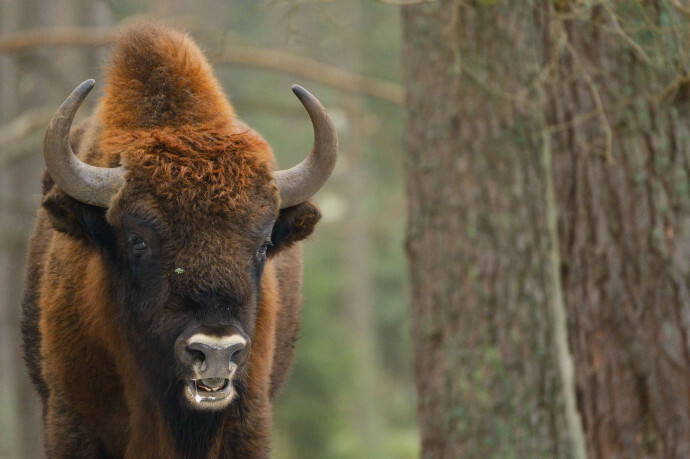 Seven charismatic species – the Big Seven of the Oder Delta – serve as the main attractions for guests: white-tailed eagle, European bison, beaver, elk, wolf, Atlantic sturgeon and grey seal. 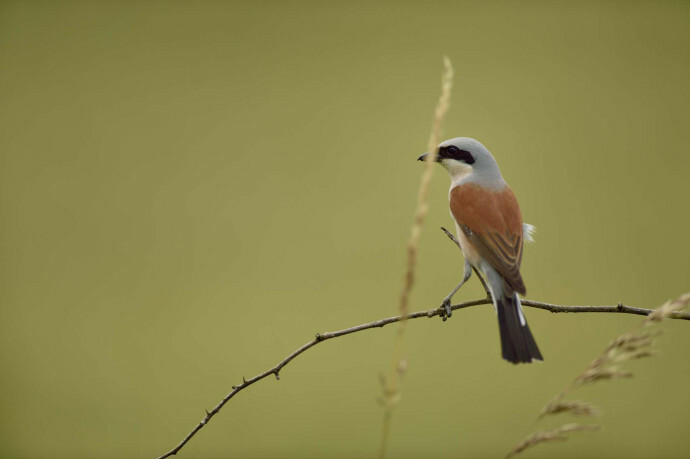 A new wilder landscape is beginning to take shape where wildlife is visible also in daytime and allowed to play its key ecological role again with minimum human intervention. 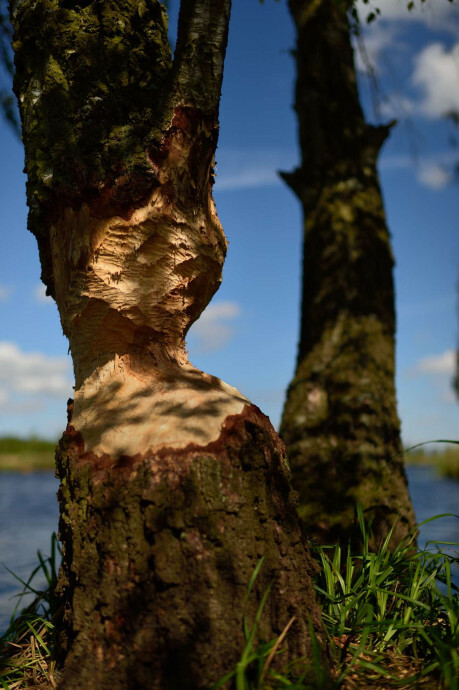 The flooding of former polders along the Peene River on the German side has created exciting stretches of new nature – "The Amazon of the North" – with rich birdlife, otters and beavers, even at the outskirts of towns like Anklam. 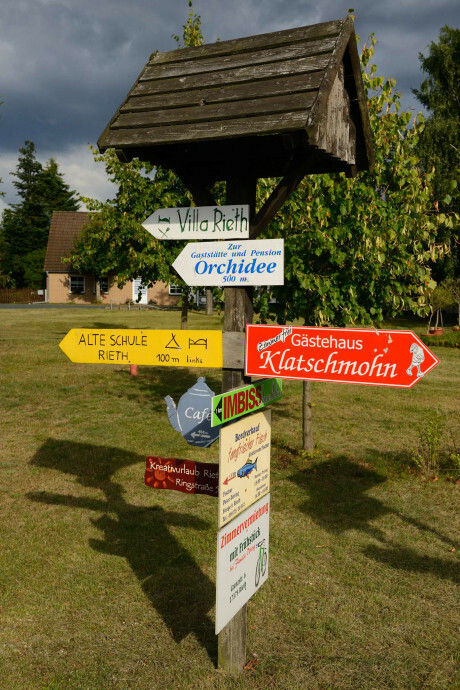 Both Germany and Poland have recognised the immense value of the area and set aside two thirds of all land and water for nature conservation and rewilding purpose. 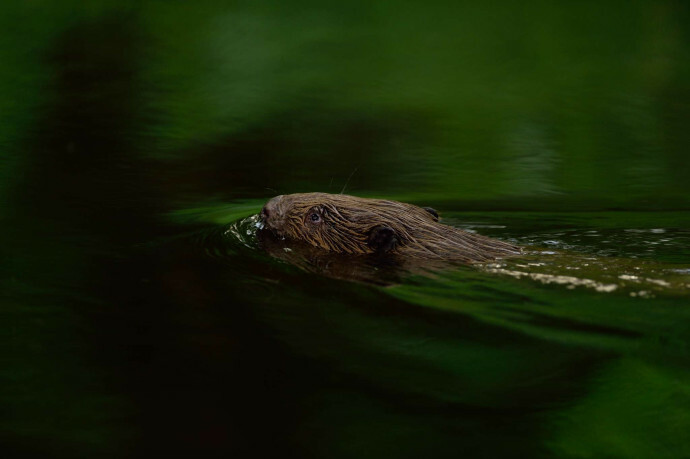 Biodiversity has increased with good populations of elk, wolf, beaver, otter, red deer, lesser spotted eagle, grey seal, salmon, sturgeon and many other native fish species. The population of harbour porpoise in the Pomeranian Bay is increasing again. 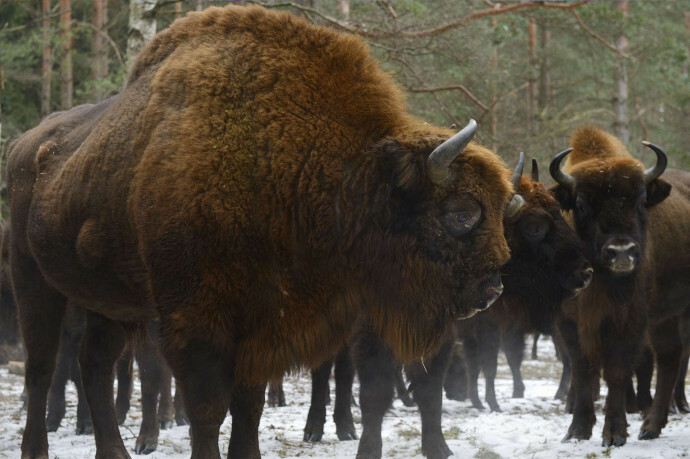 Significant and growing herds of European bison inhabit several areas in the region. 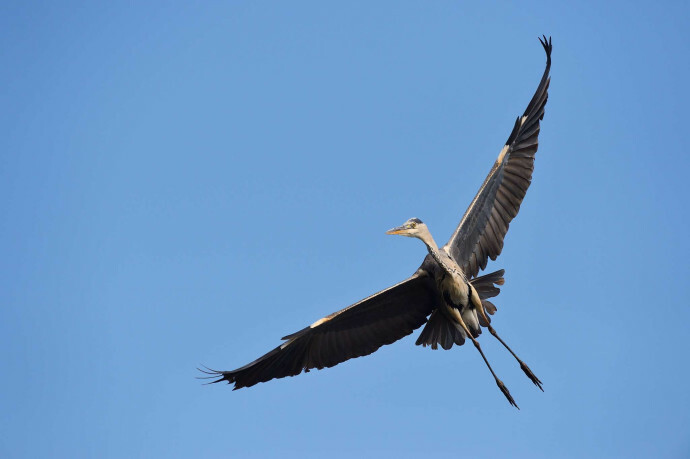 White-tailed eagle, lesser spotted eagle, osprey, white stork, black stork, eagle owl, Eurasian crane, aquatic warbler, whiskered tern, white-winged tern, black-winged stilt, great snipe, three harrier species and many other birds have stable populations in the Oder Delta region. From the cultural centres of Berlin and Szczecin guests from all over Europe and beyond visit the Oder Delta. Especially the Big Seven attract people during every month of the year. During winter when the holiday beaches are abandoned, people track wolves, watch small groups of elk feeding on willows in the snow-covered fields. People enjoy watching how white-tailed eagles gather to hunt ducks around the still open waters of the ice covered lagoon. 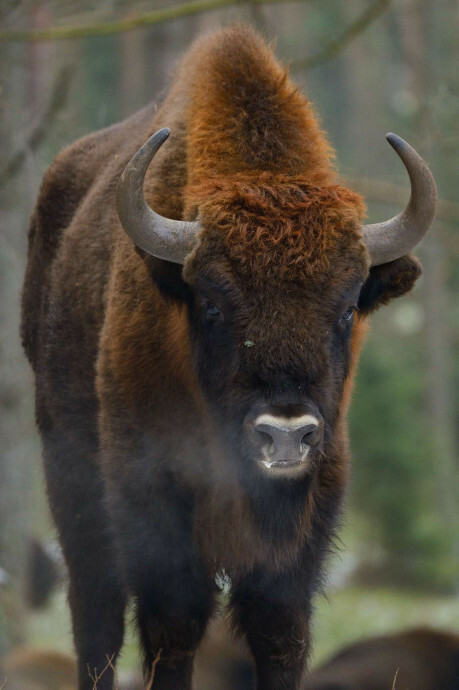 European Bison are spotted in the forests and meadows around the lagoon. After many years of absence grey seals once again deliver their white-coated pups on small islets in the Pomeranian Bay. In October-November guests also travel to the smaller rivers and streams to experience how salmon, sea trout and sturgeon return to their spawning grounds. 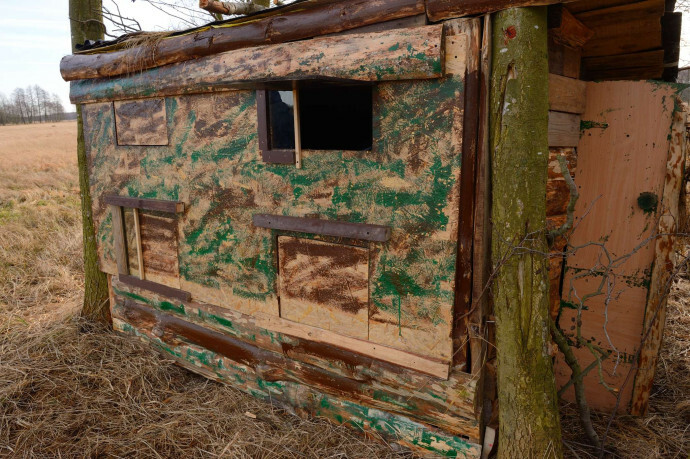 Landowners are enthusiastic since rewilding has attracted guests generating new income. 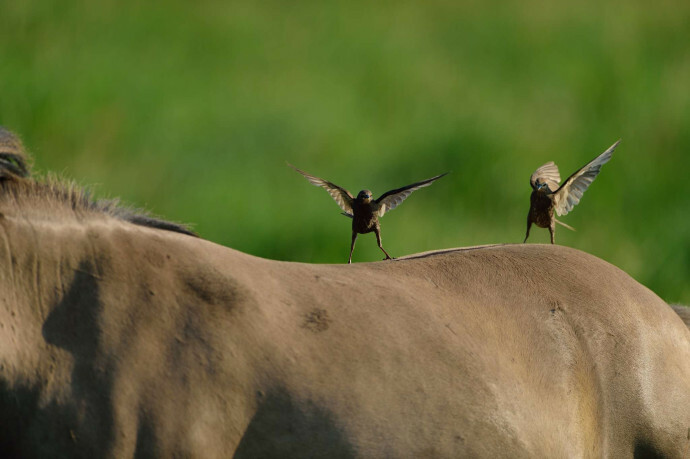 Hunting associations adopt new and less disturbing hunting methods and guide wildlife watching tours. 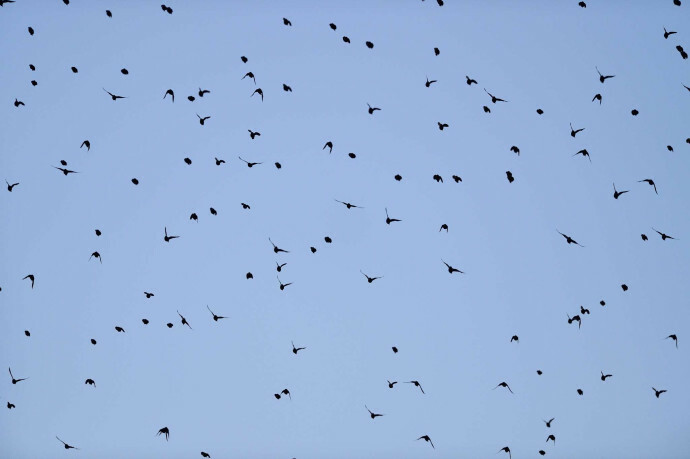 Areas with no-take zones are created and have become sanctuaries for wildlife. 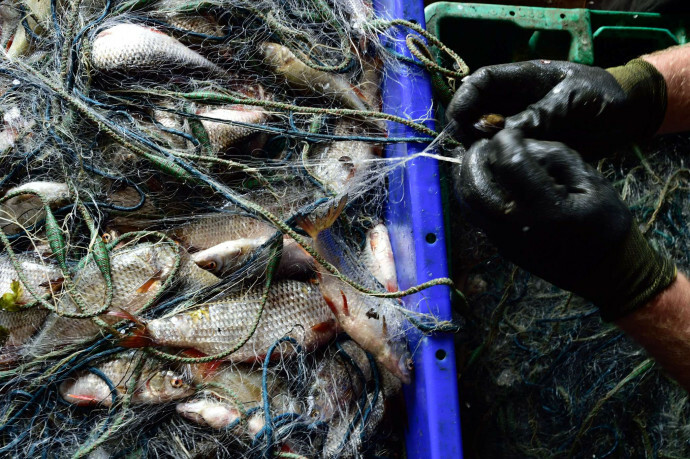 Fishermen have voluntarily reduced or seasonally stopped fishing in the most important spawning and migration areas in the lagoon, generating a boom in fish numbers. Local people living around the lagoon have opened new B&B's, small hotels and restaurants serving fish specialities from the delta and the Pomeranian Bay together with vegetables from the gardens and fields, berries and mushrooms from the forests, and meat from free ranging cattle and game. 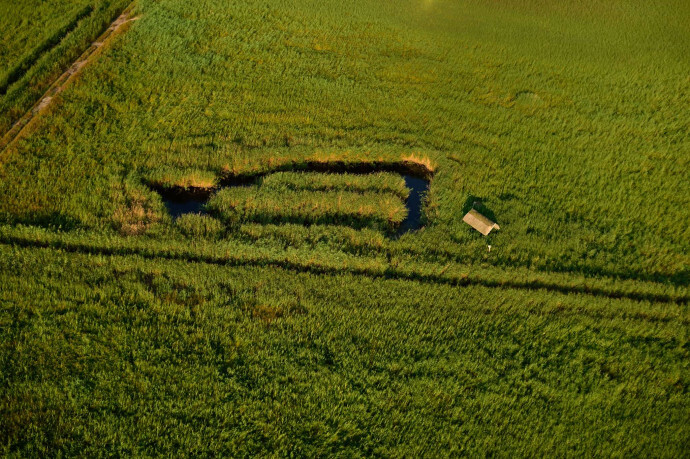 The Oder Delta has become a symbol for 'life quality' – both for people and nature. 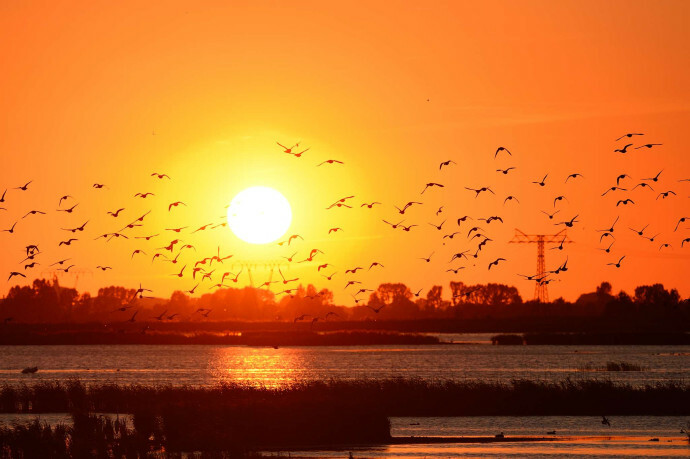 The Oder Delta is becoming increasingly well-known as a rewilding area and prominent nature tourism destination. 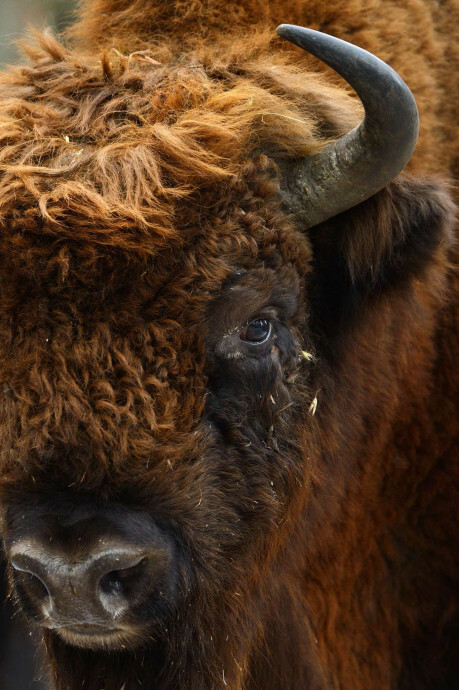 Rewilding Europe and local partners have started work on several pilot business projects here, based on the exploration of nature-based economic opportunities. 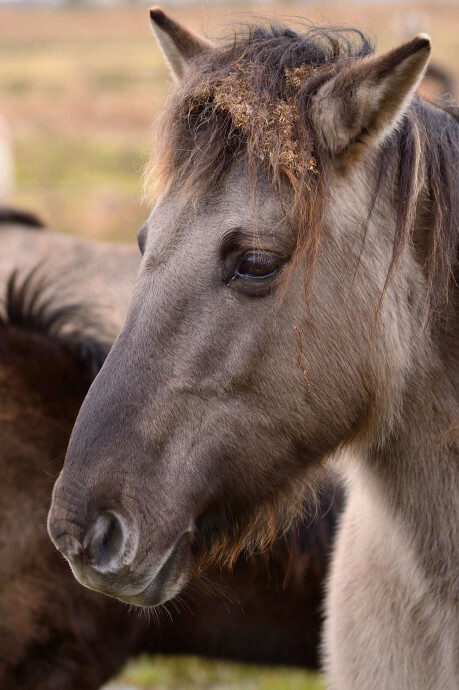 A developing network of local wilderness guides, wildlife watching tours and hides, lodging and other nature-based enterprises is creating jobs and burgeoning support for rewilding. 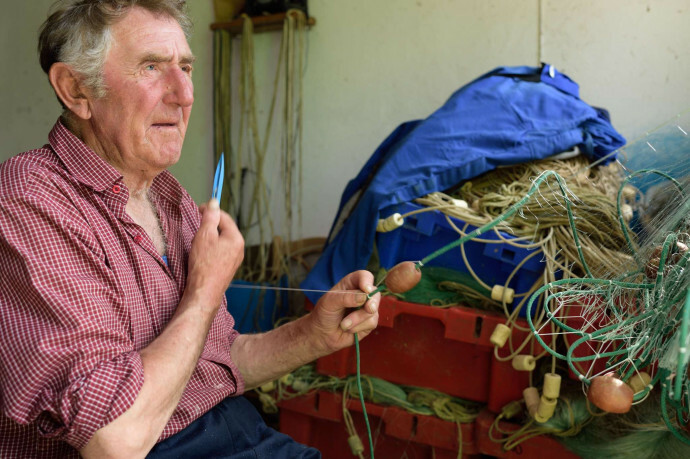 The eventual aim is to develop an alternative, sustainable and competitive model of land and sea use for local landowners, entrepreneurs and residents. Efforts in tourism promotion, education and communication are also creating positive attitudes for a wilder delta and a wilder Europe. 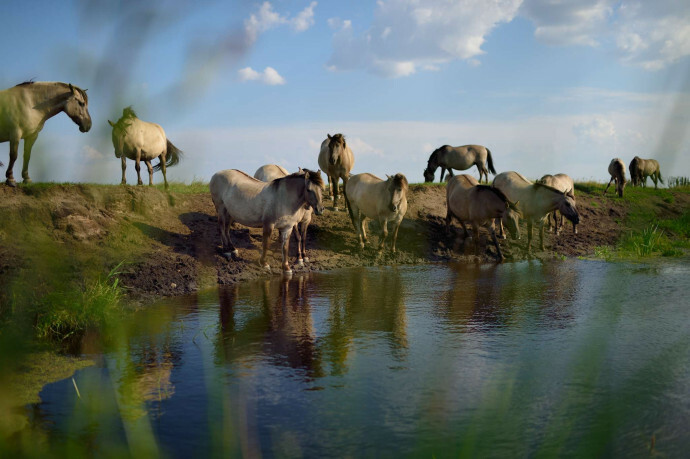 Growth in the local wildlife watching business is increasingly benefitting delta communities, with the first tourism packages offered from local outfitters via the European Safari Company. 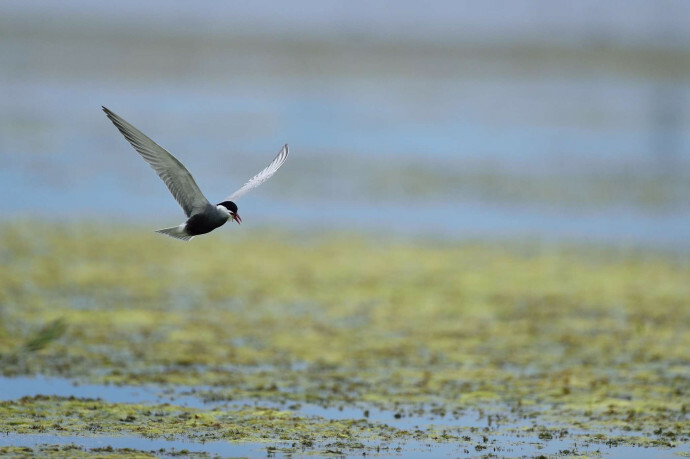 Funded by the Krombacher Brewery Species Conservation Project, the Oder Delta team is working with partners to boost biodiversity in the delta by improving habitats. 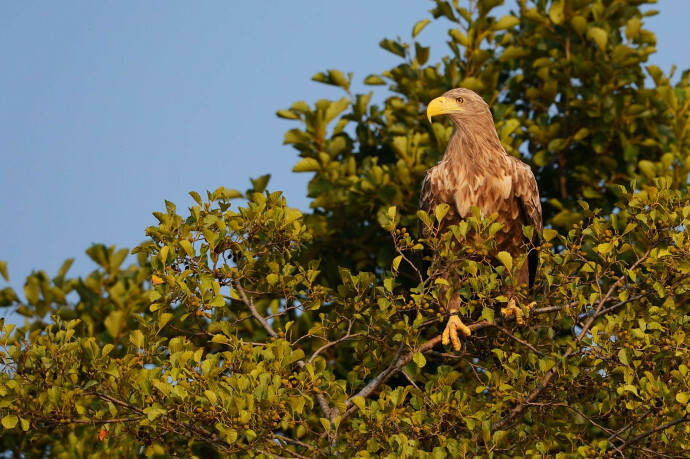 One of the Krombacher-funded projects in 2017 (now finished) saw DUH identify and protect suitable feeding habitats for the lesser spotted eagle in the delta’s Ueckermünde Heath area. In Germany this beautiful raptor is one of the rarest breeding bird species, with only about 100 breeding pairs left in the northeastern part of the country, most of them in the Oder Delta rewilding area and its surroundings. Nest protection shields were also installed to protect eagle nests against predation in order to boost breeding success. Further funding in 2018 will be used to to improve habitat for grey seals and waterbirds in and around the Stettin Lagoon, a Natura 2000 site and Important Bird Area on the Polish side. Many streams and smaller rivers on the northeastern Baltic Sea coast of Germany are currently in very poor condition. The reintroduction of species (such as salmon, sturgeon and sea trout) here means that aquatic habitats urgently need to be improved. The Rewilding Oder Delta team is now working to restore fish populations and fish migration in the Stettin Lagoon and associated rivers, in collaboration with local communities and the State Office for Agriculture and the Environment in Mecklenburg-Vorpommern. 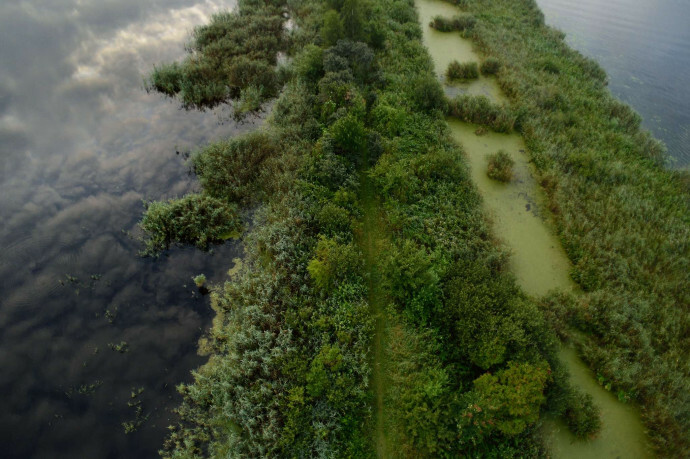 Activities, which focus on rivers in the Vorpommern-Greifswald district, include the rewilding of river banks, the restoration of natural hydrodynamics, the removal of obstacles to support fish migration, and the re-wetting of areas adjacent to waterways. How would you characterise your rewilding area? 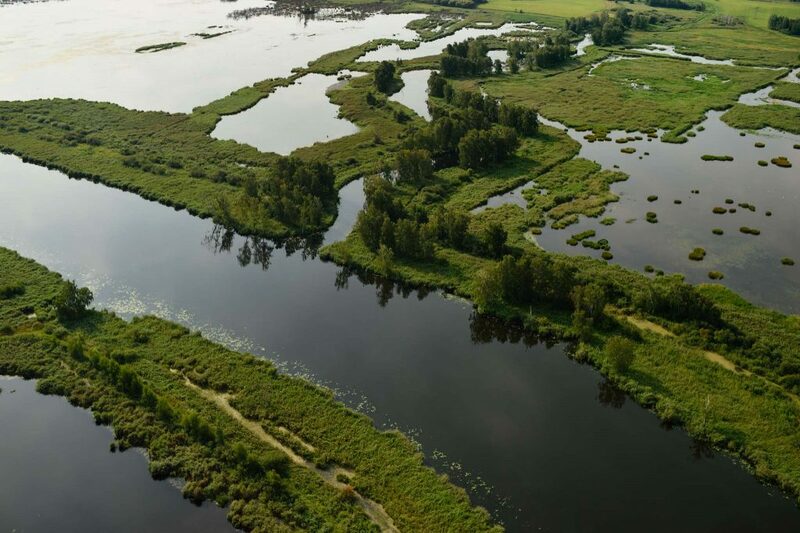 The Oder Delta is a wild and complex jigsaw of habitats that includes naturally flowing rivers, heathlands, deltas, marshes, vast reed beds, alluvial and riparian forests, wild grasslands, bogs, coastal dunes, sand beaches and the open sea. Here you can find animals such as the beaver, bison, wolf and moose. 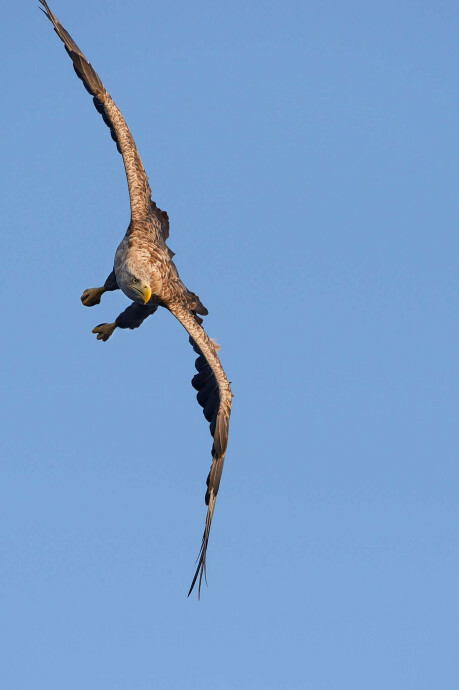 The delta is part of the East Atlantic Flyway and the number one hotspot for breeding white-tailed eagles in Europe. A collaborative network of NGOs and some very engaged tourism organisations has been formed. Land owners are becoming interested in our initiative too – the first models of cooperation have been developed. Nature and wilderness tourism is still in its infancy, but we’re working hard to make it happen. What would you like to see achieved in your rewilding area in the next five years? I hope to see a strong network of partners mutually leading the way forward in support of our overall vision. I hope that nature-based tourism, involving a strong network of local guides, attracts an increasing number of visitors, encouraging landowners to allow wildlife comeback and enabling local people to make a living from wilderness tourism. And I hope that local stakeholders will enjoy a new sense of pride in their rich and exciting natural heritage. 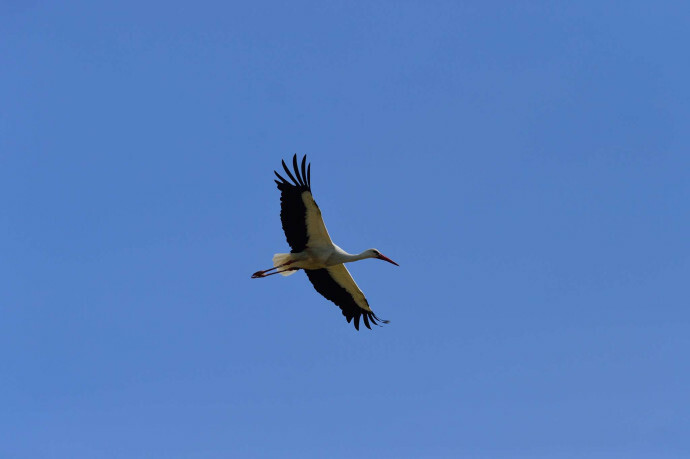 Wind farm plans in most parts of the region were successfully stopped to prevent negative impact on both landscapes and birds such as eagles, cranes, storks and herons. Two projects funded by the Krombacher Brewery Species Conservation Project were finalised in 2017. 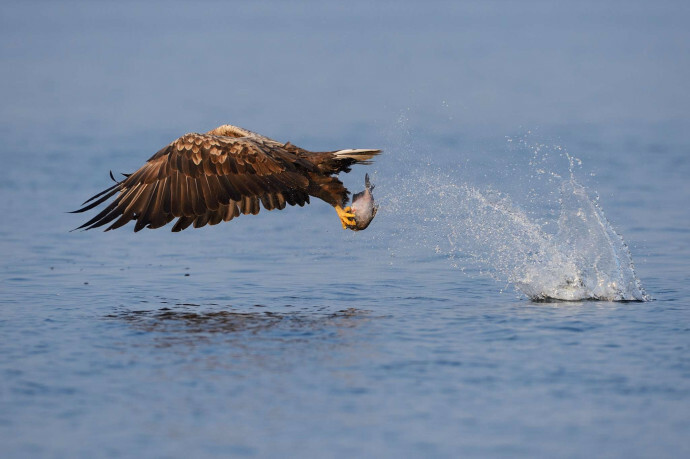 The first focused on sustainable fishing in both the Polish and German parts of the Delta, the second protected and enhanced breeding and feeding habitat of the lesser spotted eagle. In the former a technique to improve fishing nets was developed, while in the latter nest protection devices for 50 trees were installed and 12 drainage ditches closed. 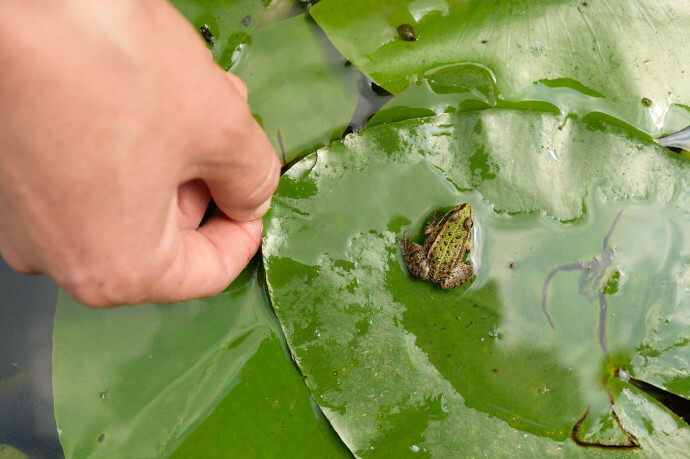 In mid-2017 a fourth year Cambridge University PhD student conducted research in the Oder Delta which revealed the beneficial impact of river restoration on local biodiversity. 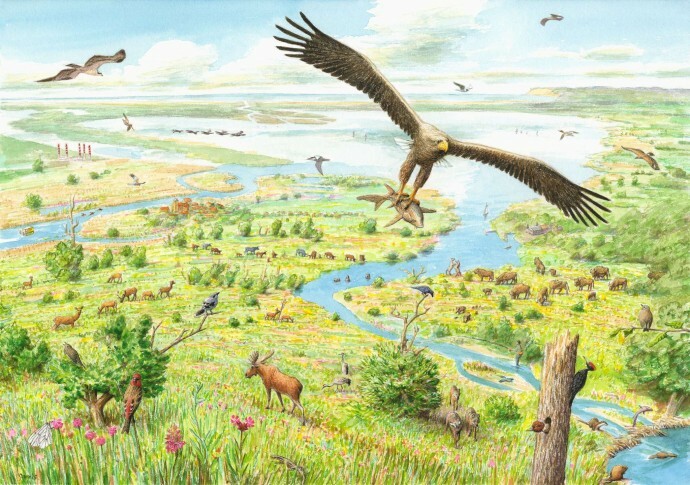 In September 2017 the lower Oder River flood protection initiative began (related to the restoration of lesser spotted eagle habitat). 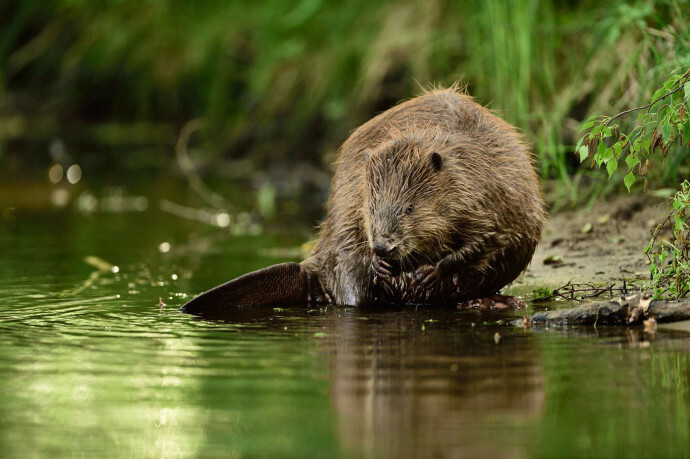 In 2018 Krombacher Breweryprovided further funding which will be used to support ongoing river restoration and measures to aid fish migration, and to improve habitat for grey seals and waterbirds in and around the Stettin Lagoon, a Natura 2000 site and Important Bird Area on the Polish side. 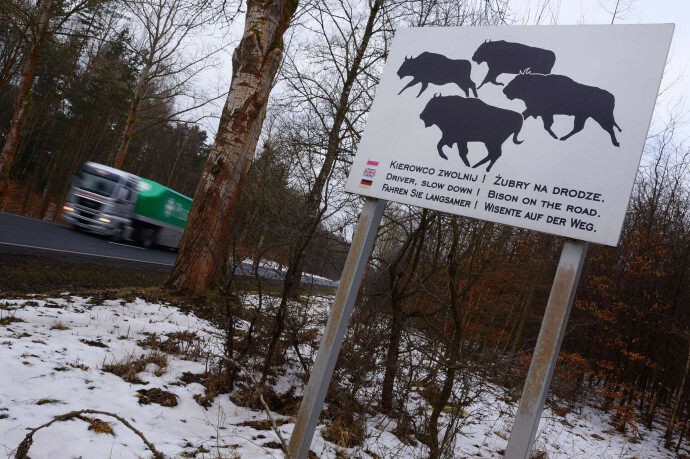 Free roaming bison bulls are entering the Oder Delta area from the Drawsko/Mirosławiec area, of which one was unnecessary killed by local authorities, leading to new instructions and improvement of communications between authorities and the Polish bison project in West Pomarania. 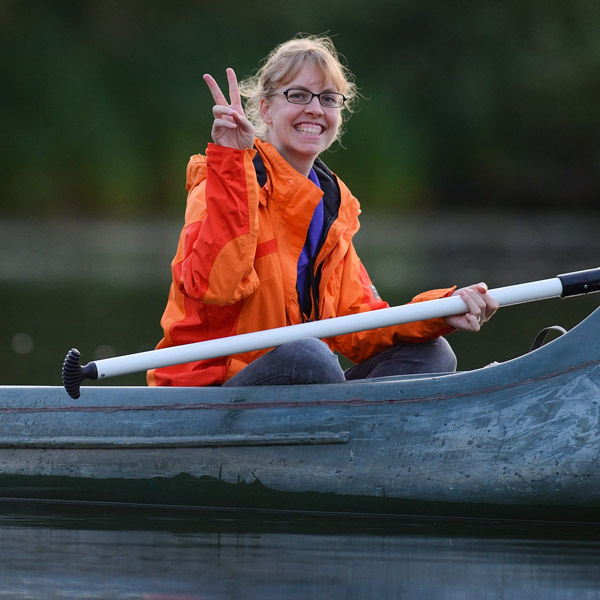 Grey seals, sea trout and wild salmon have returned to the Stettin Lagoon. 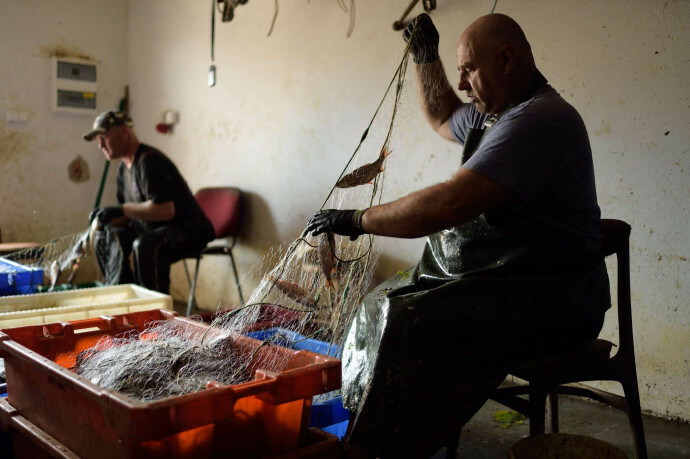 Local rewilding teams are carrying out monitoring in collaboration with local anglers and fishermen, while funds from the Krombacher Brewery Species Conservation Project have allowed seal-friendly nets to be developed. Elk and wolf reproduce in the area, the white-tailed eagle population has remained stable with the highest breeding density in EU, various raptor populations have risen and increases in beaver and otter populations have been recorded. 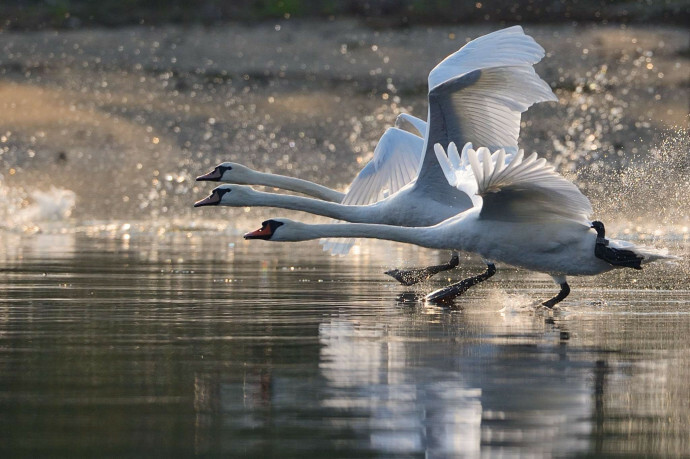 Sustainable nature-based tourism on the Peene River has been established with solar boats and wildlife watching tours. The Oder Delta is now actively promoted through the European Safari Company. 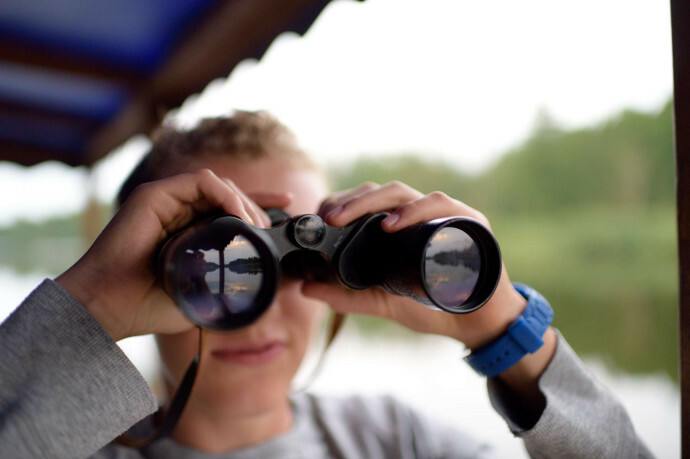 Workshops have been held in Poland and Germany on nature-based tourism, resulting in the development of "Big 7" safaris (including the famous white-tailed eagle safaris). In 2016 the LEADER project "Digital destination and local guides" began supporting local nature-based tourism. In early 2018 a guiding handbook was published, financed by the European Union's LEADER programme, with Rewilding Europe co-funding. In 2016 good media outreach was achieved through projects on lesser spotted eagles and fisheries, and the appearance of grey seals and wolves. In 2017 Rewilding Europe supported Oder Delta partners in their fight against Poland's potentially disastrous inland waterways programme. The outcome of this is still unsure. 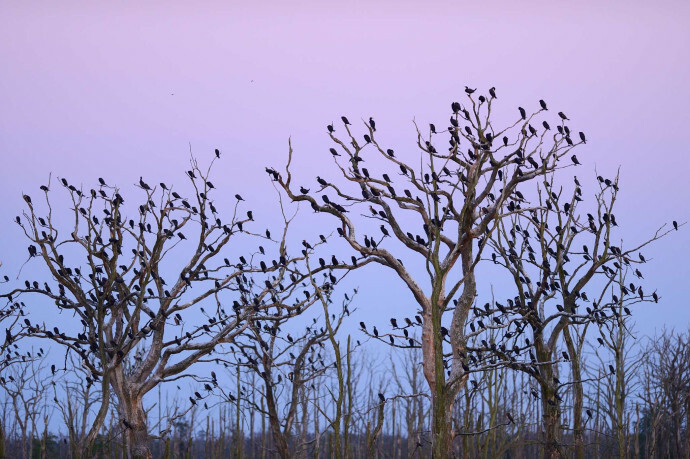 The Oder Delta rewilding area was widely promoted in national and international media. 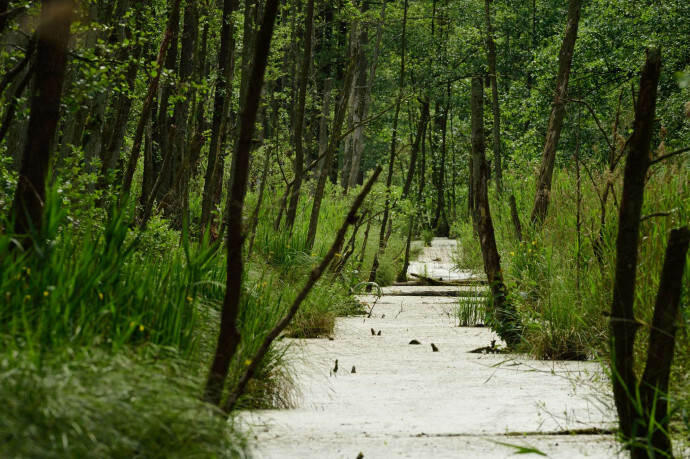 The conservation project "Peenetal" has created new rewilding areas of thousands of hectares (particularly through reflooding) in the Anklammer Stadtbruch region, Peene Valley and Ueckermünder Heide. These were realised by conservation authorities and different NGOs. 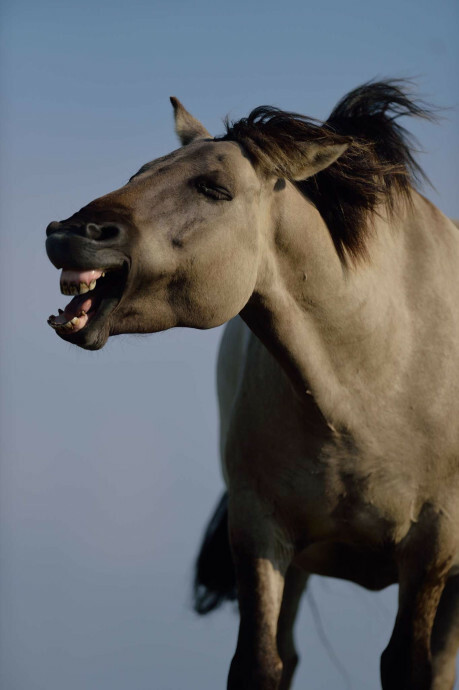 In early 2018 the Oder Delta rewilding team received a German Postcode Lottery grant for the restoration of the Stettin Lagoon and Peene River, both important wetland areas in the German part of the Oder Delta rewilding area. 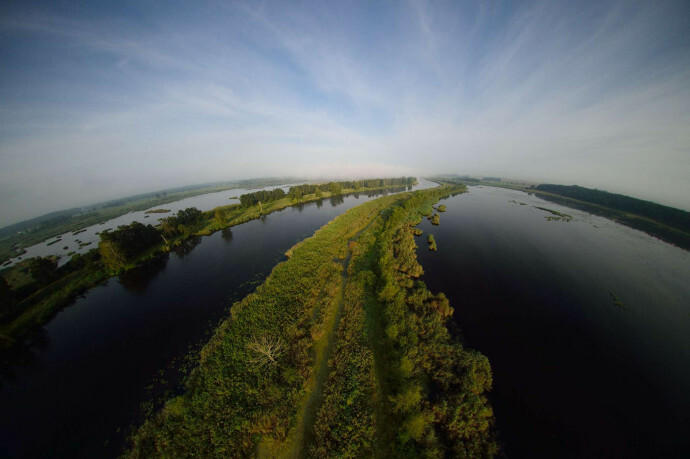 The Oder Delta is a unique region rich with a large mosaic of land, marine and freshwater ecosystems which spreads across the border between Poland and Germany. Located on the edge of the Baltic Sea this ecological crossroad in Europe is one of the most exciting wild areas in north-central Europe. Since 2009 Ulrich Stocker is the head of „Nature conservation and biodiversity” department of the environmental NGO Deutsche Umwelthilfe (DUH) – Environmental Action Germany. He studied law in Cologne, Saarbrücken and Lausanne, with a specialisation in environmental law. After working for the Federal Environmental Agency and the UN Environment Programme UNEP in Nairobi, and lecturing environmental law at the Technical University of Berlin, he has been working for 18 years for the Ministry of Environment Brandenburg (1991–2009), where he developed the nature protection legislation for Brandenburg and the law for the National Park Lower Oder Valley. Since then he has dealt with wilderness and rewilding issues, among others responsible for the state designation of the “wilderness” area in Jüterbog, Lieberose and Tangersdorf, as coordinator of the Regional Working Group on Nature Conservation for the National Heritage and now representative of DUH in the strategy group conservation areas of German environmental organizations. With more than 25 years of experience in the field of nature conservation, he has a broad network and a major environmental policy expertise. Within DUH he is a member of the Project Accompanying Working Group of “Natural Capital Germany”, was the one to lead a project helping the Botswana Government to successfully apply for the Okavango Delta as the 1.000th World Heritage Area. He also took part in the last World Wilderness Congresses in Mérida in 2009 and 2013 in Salamanca. 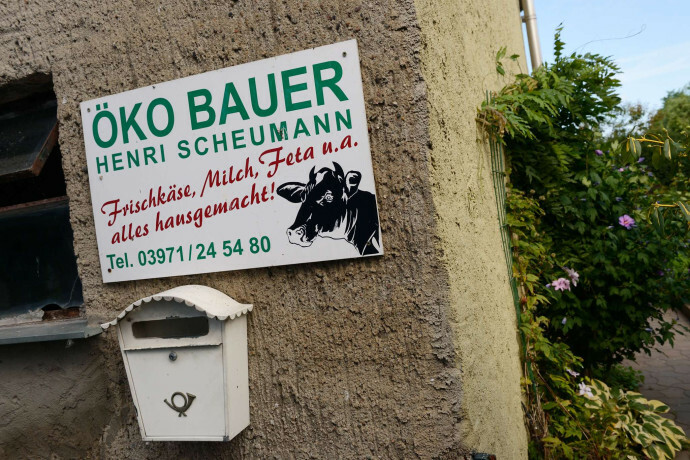 Since 2012 Suleika works as a project manager in the „Nature conservation and biodiversity” department of the environmental NGO Deutsche Umwelthilfe (DUH) – Environmental Action Germany, in various fields such as ecosystem services, nature based economy and wilderness. She majored in ecological economics at the University of Edinburgh. 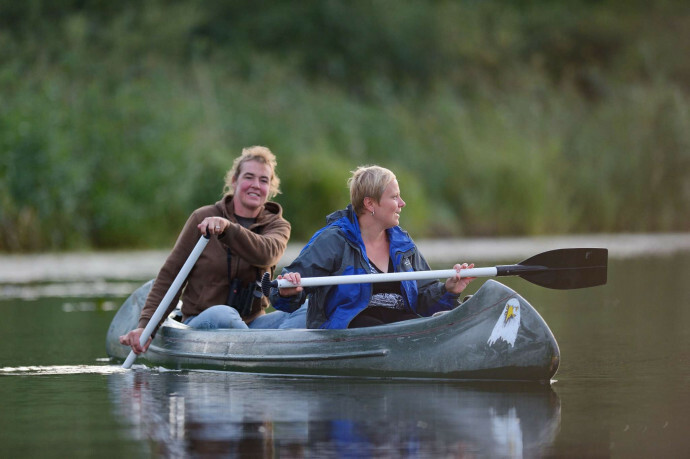 Suleika played a substantial role in preparing and coordinating the nomination of Oder Delta rewilding area as well as building up a strong network of partners within the region from the very beginning and has since then been involved in the initiative. Since November 2016, she works as the coordinator of Oder Delta local team. Katrin joined the „Nature conservation and biodiversity” department of the environmental NGO Deutsche Umwelthilfe (DUH) – Environmental Action Germany in 2016 and currently replaces Suleika during her maternity leave as the Project Coordinator. A trained conservation biologist with a background in ornithology and freshwater ecology, she worked with the European communication team at WWF-International, and directed the French NGO Wild-Touch during a meta-project on tropical rainforests. 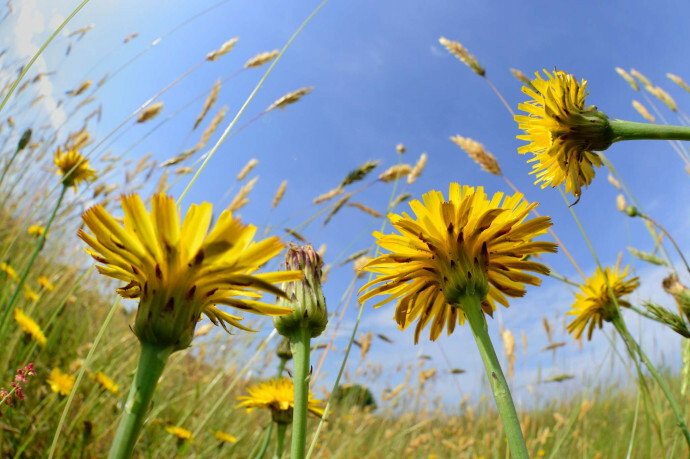 There are three main partners that we work with in this rewilding area: Deutsche Umwelthilfe (DUH) in Germany, HOP Transnationales Netzwerk Odermündung e.V. (Germany & Poland) and Society of Friends of the Rivers Ina and Gowienica (Poland). 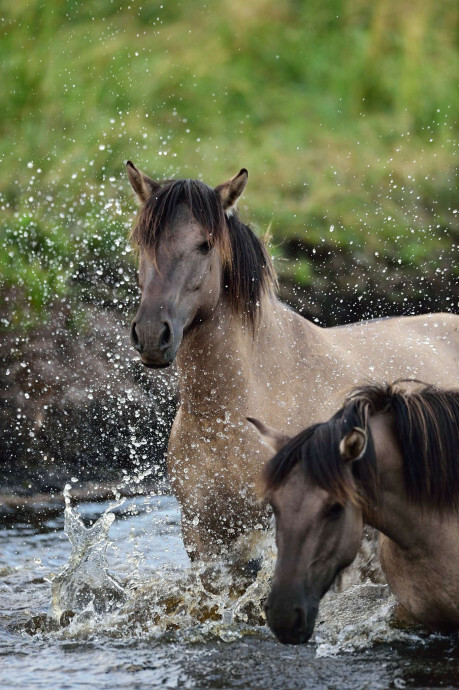 Currently, DUH coordinates all the work in the areas, with whom Rewilding Europe has signed cooperation agreements. 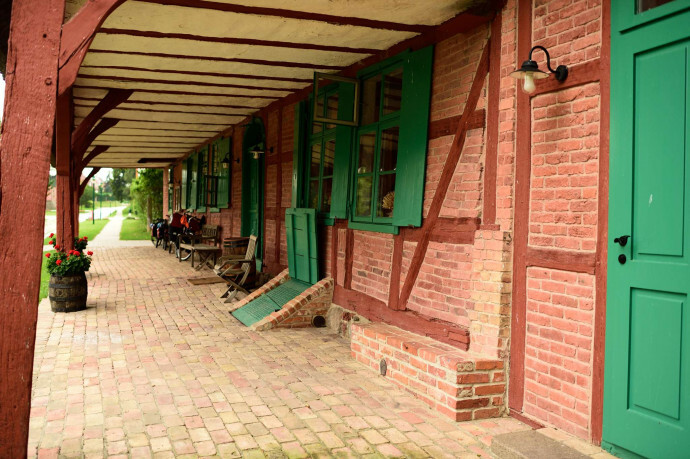 Recently, a process has started to establish a new legal entity, called Rewilding Oder Delta, an association registered in the region with both German and Polish board members. This process will be completed in 2018 and this new entity will be come the preferential partner of Rewilding Europe. A whole range of local partnerships has been established by the three main partners.